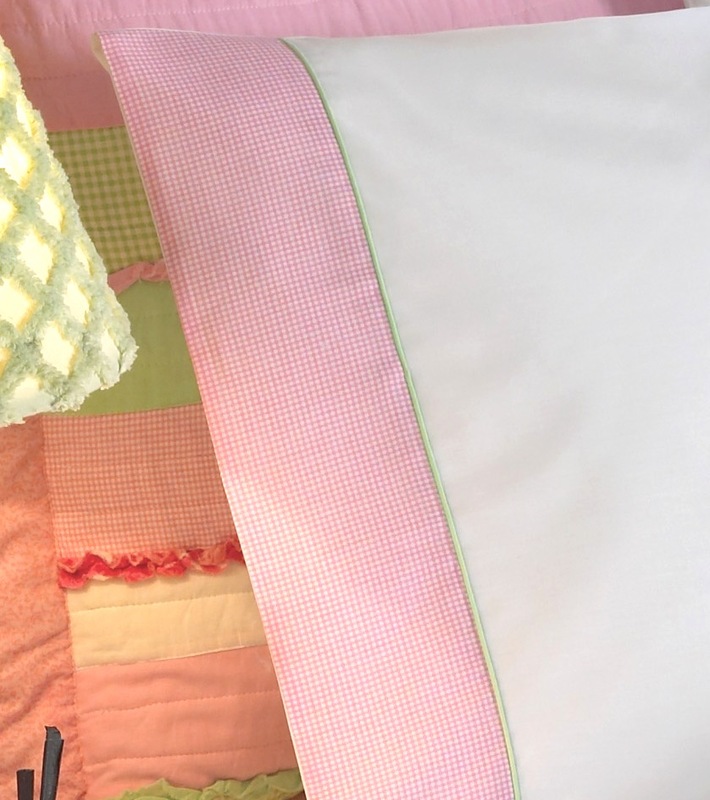 Charming sheets have a pink & white gingham check on the hem of the flat sheet and pillowcases, and accented with a celery green piping trim (fitted sheet is solid white). Comfy soft 100% Cotton sheets in a 200 Thread Count are perfect for any chic bedroom. Set includes flat, fitted, and two pillowcases (one pillowcase with the Twin set).